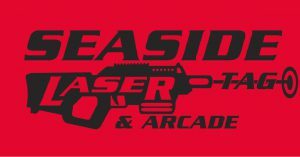 Seaside Laser Tag & Arcade is a fun place to be with your family and friends. We have over 20 of the most popular arcade games with a new twish on two of the classics: the world’s largest Pac-Man and Space Ivader Frenzy. For those with a competitive nature, you and up to 19 others can tag it out in our two-story Laser Tag Arena. Party and event packages avilable. 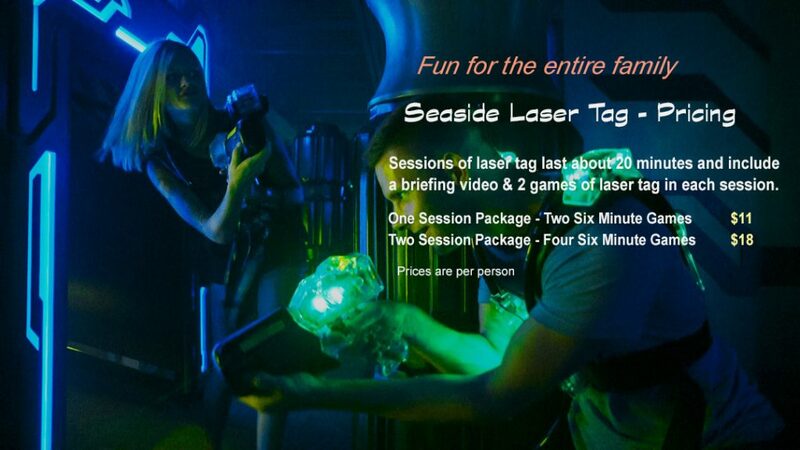 Come join the fun and get Tagged in Seaside. Done with Laser Tag and want more fun, check out our Arcade here. You can just do the games in our Arcade. We have over 30 popular arcade games. Check out the Arcade here. Have a Birthday party or company party, or even group party here. Perhaps just a family reunion. Click on PARTY and get more information. You can have a GREAT memorable time.